Bookstores and libraries can acquire copies through Ingram distribution. DreamWatch.com, true paranormal experiences of everyday people, began as a hobby. It was supposed to be fun—until premonitions from around the world predict the same catastrophic attack. Tech-savvy readers, 18 and older, who frequent the internet for news, entertainment and social interaction can appreciate the pivotal role the real-life website plays in the plot. In Premonition of Terror, not only do the lines blur between real and virtual, but also between physical and spirit realms. Readers don’t have to be fans of the supernatural to be drawn into the lives of reluctant psychic Kate Kassabian, her FBI brother Jack, and counterterrorism legend Matt Chase as they confront personal, geopolitical, and terrorist threats. 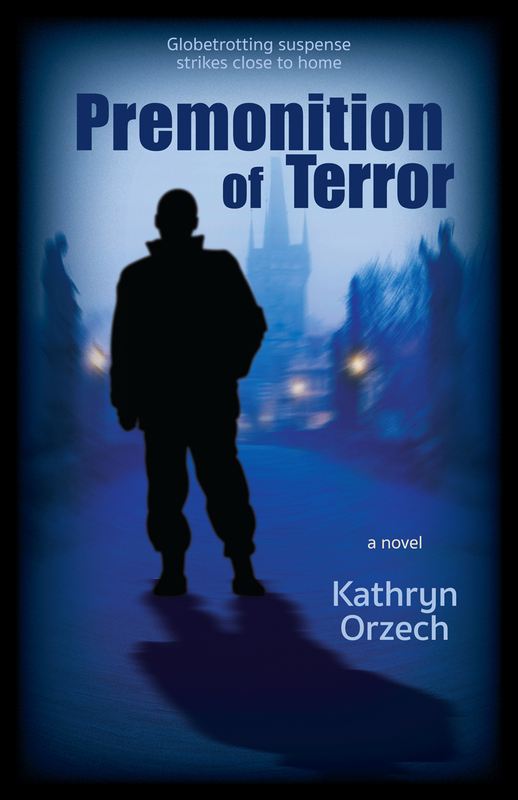 Premonition is set in the recent past, where the fast-paced story unfolds in Connecticut, New York City, rural Vermont, and all the way to Prague. The author weaves paranormal elements with everyday events , as well as a romantic tease to make Premonition a thrilling read even for those who don’t typically read paranormal. Intriguing, thought-provoking and timely, readers wonder—Hmmm, could this really happen? Has this really happened? !